BadKing has been steadily growing over the last year but still has a long way to go, which is why we have introduced our Reward System by sharing the ‘Embed Code’ and ‘Share Link’ on the right. In order for the site to grow we need to start offsetting some of the bandwidth and labour costs required to run the site. Ways to support the site include Purchasing Items from the product section, making a donation via PayPal, purchasing Download Points or simply spreading the word. Download Points are used to download additional content from the BadKing website, anything from 720-1080p videos, additional 3d models/ brushes and related project files. You can purchase Points via the shopping cart or earn them by spreading the word though the Reward System seen on the right. We add a tracking number to the link and embed code as seen on the right. This tracking number is linked specifically to your account which means we can track the amount of clicks you receive and reward you accordingly. It’s simple. All you need to do is Cut & Paste the ‘Embed Code’ or ‘Share Link’ into any Social Networking site, Blog, E-mail, etc. For every click we track, you earn a download point. More points are earned if the people you attract sign-up to BadKing. Be respectful, nobody likes to be spammed, so although we appreciate your enthusiasm, repeatedly emailing and baiting people to click on videos or links is not the way to go. Please be aware repeatedly clicking on a Video or Link will not earn you additional points and is of no real benefit. If you like our content please help spread the word responsibly, your help is greatly appreciated. You Must be Logged in to Recieve the Embed Codes. Please login below or create your FREE account. In Chapter 1, we start adding the detail to our armour plating. 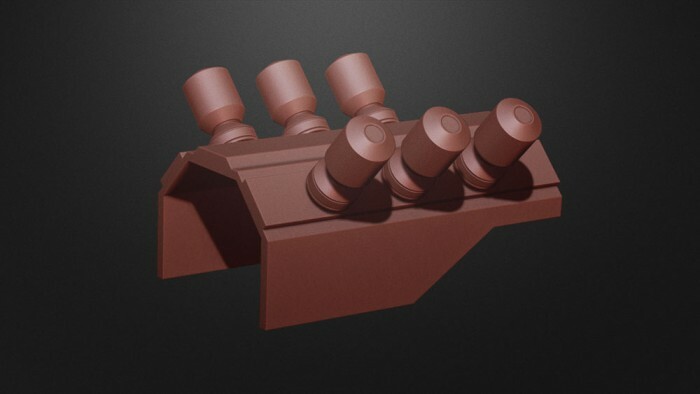 We utilise DynaMesh in order to create the holes within the plating before moving onto implementing an Insert Multi Mesh brush to create the bolts that fasten the armour to the cannon. In Chapter 2, we finalize the detail to our armour plating. We utilise SliceCurve to cut out the outline for the piece we want to extrude prior to implementing again an Insert Multi Mesh brush to add small screw heads to the armour plating. 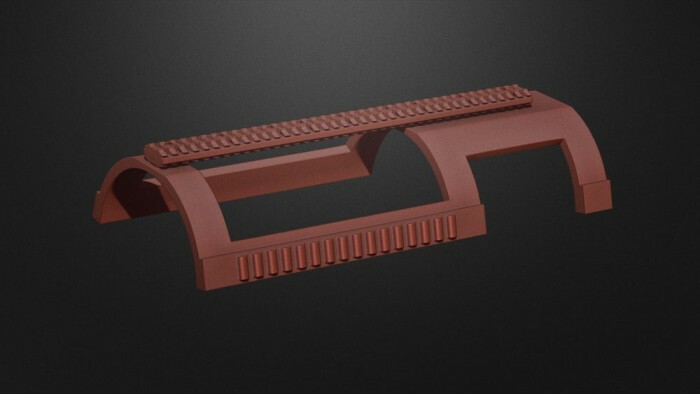 In Chapter 3, we start building our basic recoil system for the barrel. We use a plane as a base and cut out the outline of the shape we need using the SliceCurve and ClipCircleCenter, before implementing Morph Target to add volume to our pieces. 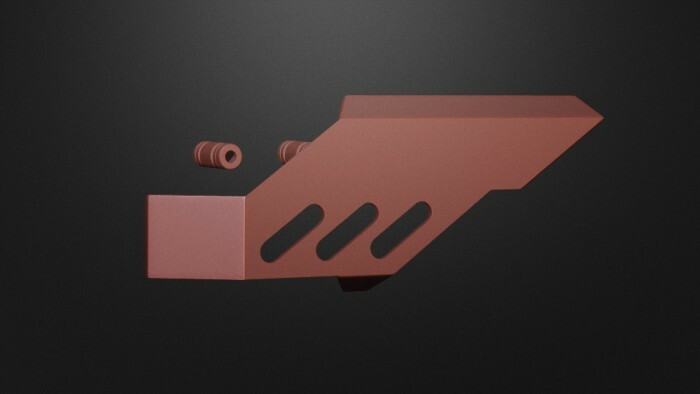 In Chapter 4, we finalize the recoil system for the barrel. 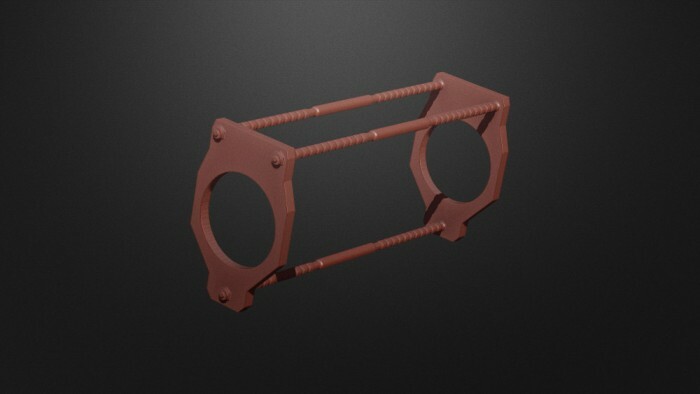 We use a custom made Insert Multi Mesh Brush to add the recoil cylinders, as well as looking at a potential problem with one of the default Insert Multi Mesh brushes when subdividing. In Chapter 5, we start building an additional heat shield for the barrel. We use a cylinder as a base and cut out the outline of the shape we need using the SelectRect together with the Alt key, before implementing Morph Target to add volume to our pieces. In Chapter 6, we finalize the additional heat shield for the barrel. Again we use a custom made Insert Multi Mesh Brush to add the overall detail as well as looking at another potential problem with one of the default Insert Multi Mesh brushes. In Chapter 7, we start adding additional detail to the centre cover plate. We use Masking together with Ctrl +Shift to create a clean border on the surface of our cover plate, before repeating the same steps to achieve a clean indentation. In Chapter 8, we finalize the detail on the centre cover plate. Again we use an Insert Multi Mesh Brush to add the overall detail such as rivets and the main centre piece that we later place on its own layer before using Masking and Ctrl +Shift to modify its design. 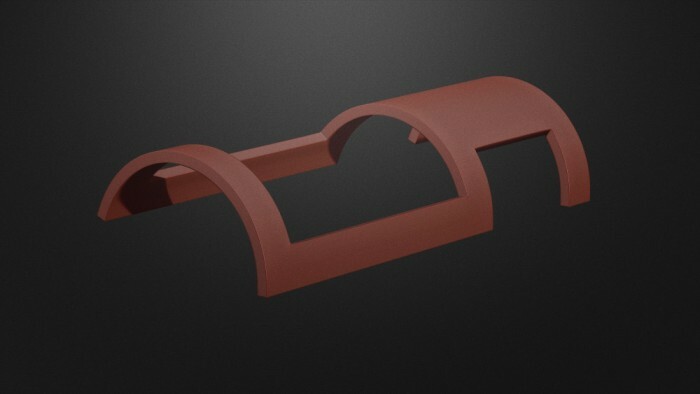 In Chapter 9, we add additional detail to the large cover plate mount. We use masking together with Ctrl +Shift to create the overall detail on the surface of our cover plate, before implementing an Insert Multi Mesh Brush to finalize the design. In Chapter 10, we finalize the SpiderBot Cannon. We start by loading in a .ZTL file that I’ve created to save on time before taking you through the process used to create it. In a addition we add a bit of piping that sits under the large cover plate mount. In Part 3 of this 3 part series, we complete our transition from Zbrush 4 R3 to R4, where we focus mainly on detailing and overall aesthetics. We explore many of the new Insert Multi Mesh brushes that Zbrush 4 R4 has to offer before finalizing our cannon. In the introduction, we look at the overall scope of Part 3 and briefly examine some of the topics that will be covered including our focus on detailing, using the new Insert Multi Mesh brushes that Zbrush 4 R4 has to offer and the different parts we will be working on. 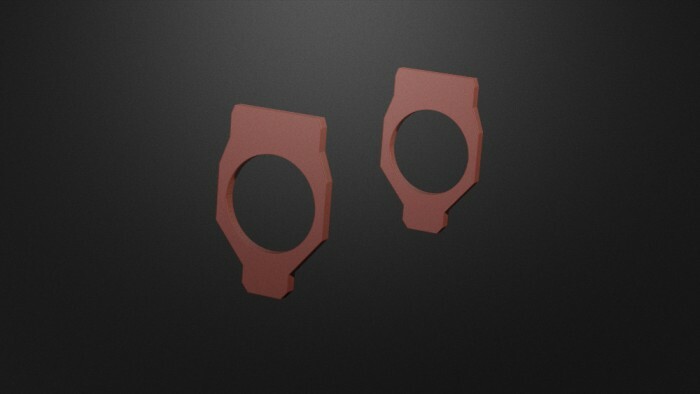 Highly appreciated series of zBrush tutorials! Thank U so much!!! just finished entire series and must say I learned a lot. thank you very much! I just finish this tutorial, I fill very happy, I have 52 year old and I just begin to learn zbrush with you, a lot of thanks man , ( excuse my English because I just begin to learn it) have a good time. bad kind how can i load certain brushes to my “brushes quick pick ” ? when i press the “B” to pick a brush , some of those brushes are not valid at the quick pick dialog. There’s two ways you can do it. – Click on the Load Brush button. – Navigate to the Brush file you want to load. – Double click on the file. – Navigate to your C Drive. – Copy and Paste your Brush into this Directory. that helped and help a lot . not from youtube nor pixologic forum until now . Awesome tutorials! 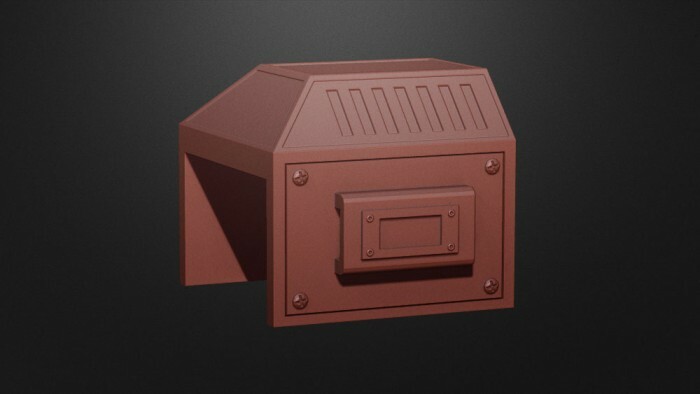 greatly helped me getting into zbrush modelling however I found I could not create the last object in zbrush without a hole host of problems don’t suppose you could do tutorials on how you made that final piece or Zbrush modelling concepts in general? 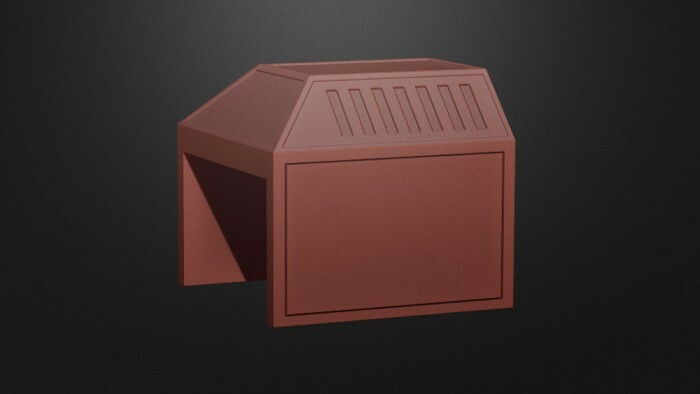 I probably just need more practice, but I feel zbrush modelling has to many unilateral processes to make an object that would be basically straight forward in 3Dsmax or Maya. thank u badking..!! i’ve always loved mech modeling in maya..but its really helpful to know zbrush workflow to do those things even faster..!! very cool n lot of FUN!! Anytime mate So glad to hear that the tutorial is helping, would love to see what you come up with! Your English sounds fine Welcome to the BadKing community! Excelent tutorial series . Really thanks for it ,I learnt a lot of usefull technics . Thank you . 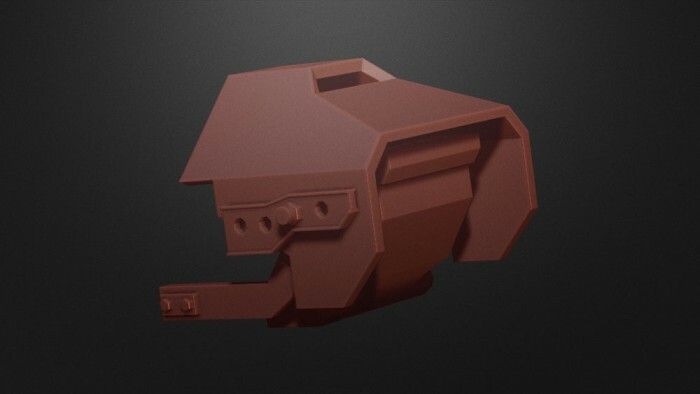 Just completed watching all parts of your tutorial and was amazed at ZB’s hard surface capabilities. 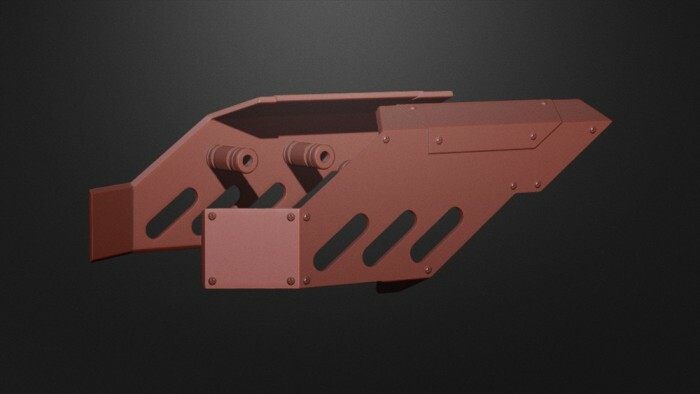 I use Goz and Maya to get any hard surface shapes I need in my models, but you have shown how easy it is to achieve them without leaving ZBrush. Even although the workflow is completely different to what I am used to, I had no problem adapting to it. 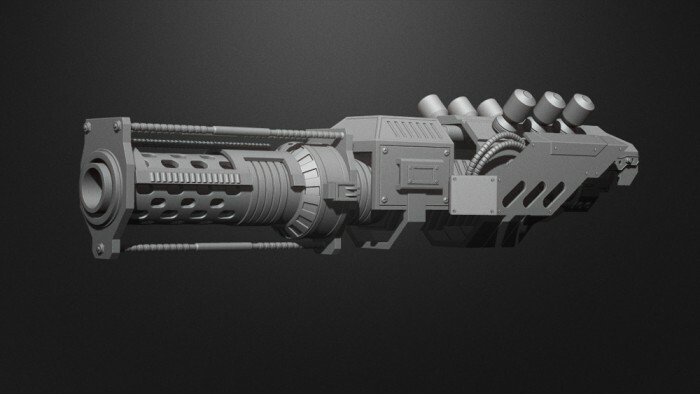 I haven’t built the model (gun), but I plan to model something similar using only ZB (I promise). I will then re-topoligize in Topogun, which I find very therapeutic and paint it up with DDO. Just as soon as I can clear my desk that is. Thanks for giving me another tool in my arsenal. Congrats on a great site that not only looks good, but delivers a much needed resource both for method and inspiration. Thanks again.. It was real fun to do, you guys ROCK! Hi Steve, I know exactly what you mean. So here’s what I’ve noticed…Insert Multi Mesh Brushes seem to retain the memory of the last angle you’ve applied. For example, if you’ve applied an IMM on a 30 degree angle and then applied another IMM and hit Shift, it snaps into the previous (30 degree) angle you’ve used. The way I usually do it is to set it manually, I know it’s not 100% but it’s all I’ve got at this time. I’ll ask around though and see what comes up, it would be a great tip to share I’ll keep you posted if I find anything. Thanks For the great tutorial!!! Cant wait for the rest of the spider bot parts/bot itself. 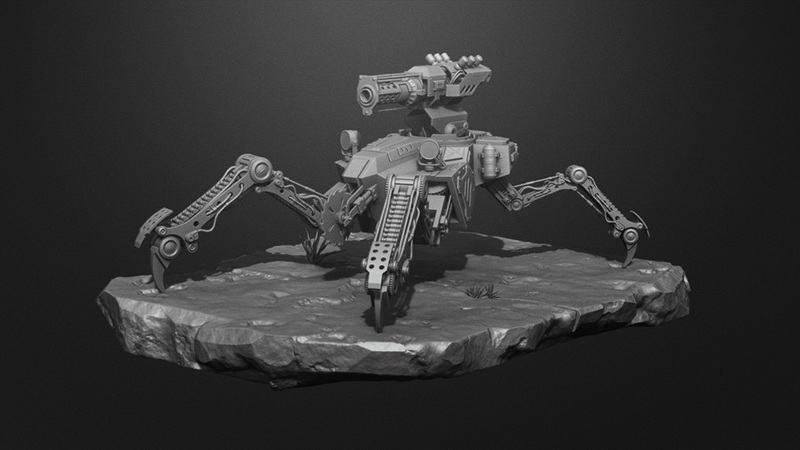 You’re welcome I wanted to find a topic that would show off as many different hard surface modelling techniques as possible so the Spiderbot with all its different parts seemed to be the logical choice. Really looking forward to what’s to come. Great work on that tutorial. Working through these plus the two of Mike Jensen and you are good to go to create every hard surface object imaginable. Thanks I also like alot of Mike Jensen’s stuff, he’s really good. Superb! Looking forward to more tuts!! Thanks heaps Hope to get some more out soon. Really excellent tutorial! BadKing is truly a GenerousKing. This whole site rocks! Thanks so much MrAugie I’ll keep pumping them out as quickly as I can. Definitely one of the best hard surface modelling tutorials out there. Thanks for all your hard work in helping us artists. I’m building my own game that I would like to sell eventually. Can I use this model in one of my games? 1) For personal or commercial use. 2) For advertising or promotional use. 3) For website or in any electronic devices. 4) In broadcast, multimedia, video games or animation (as many applications as necessary). 5) In books or magazines. 6) The products may be modified for individual style and appearance. Sell or sub-license the products in any form with the exception of a compiled application such as a video game, a proprietary or native file format so that the users of your final product cannot access the model or product by itself. Thanks for the fantastic tutorials, they are the best out there! These tutorials are great… can’t wait for the next one. Copyright © 2019, BadKing.com.au Page generated in 3.76 seconds ( 100.00% PHP, 0.00% MySQL ).